We have a special edition blog post for you all today! Are you ready? 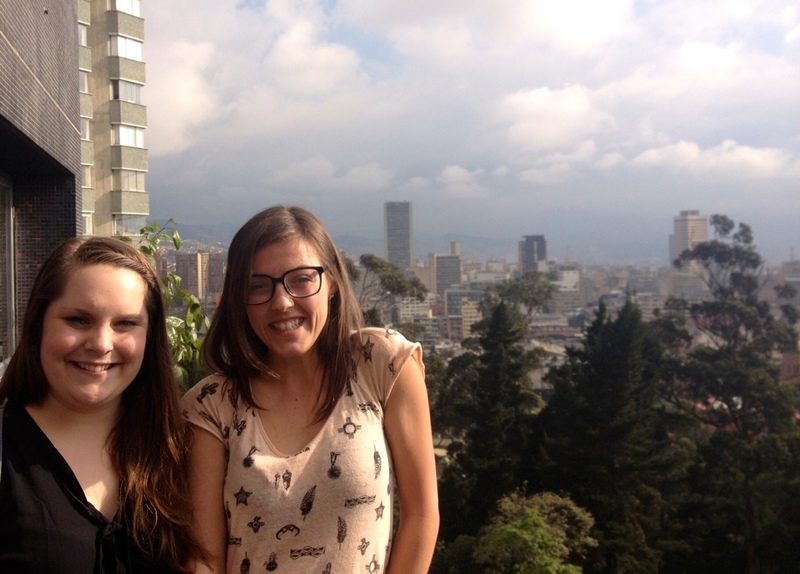 This post was written jointly by Marie-Josée and Rhian – your Colombian YPs! We recently spent two and a half weeks together in Bogotá and on the Venezuelan border in a department called Arauca, so we thought it would be fun to collaborate on telling you about our experiences. The first few days together in Bogotá were filled with many fun moments exploring Bogotá, catching up and comparing experiences. Marie-Josée showed Rhian her apartment and her life in the city and we also thoroughly enjoyed indulging in our mutual love of chocolate croissants, as there are a plethora of wonderfully delicious bakeries in M-J’s neighbourhood. 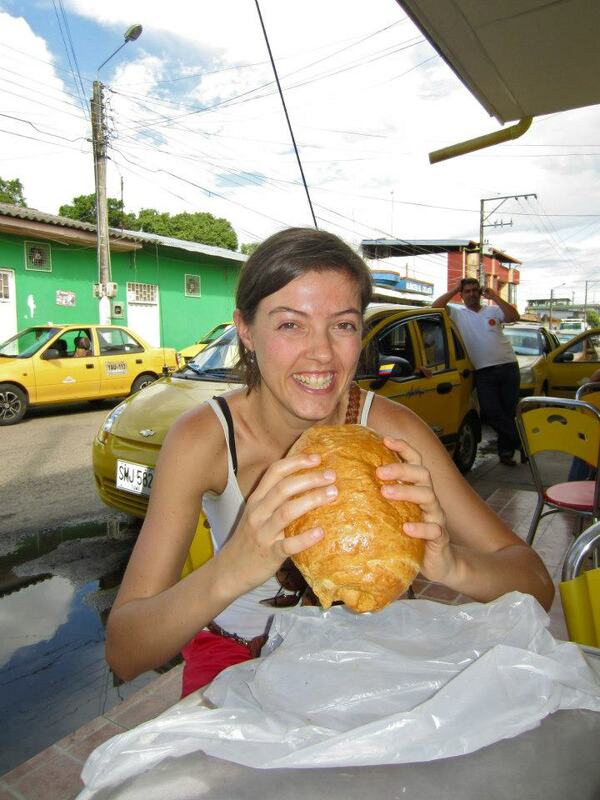 Rhian was also very happy to see that Bogotá was not the horrible hellish place that Paisas generally try to convince foreigners of before discovering the capital. There is definitely a very strong rivalry between the two cities and it’s really almost comical the things that they will say about the other city to try to convince foreigners that one is better than the other. The main points that Paisas make are that Bogotá is muuuuy muy frio (freezing) and that Bogotanos are rude and unfriendly. Rhian quickly discovered that, for a gringa, the ‘cold’ was really just a refreshing break from Medellín’s warmer more humid climate, and that Bogotanos are really just as nice as Paisas. The one point that Rhian will agree with Paisas on, after thoroughly assessing the situation, is that Medellín is definitely the more beautiful city and boy does it rain a lot in Bogotá! 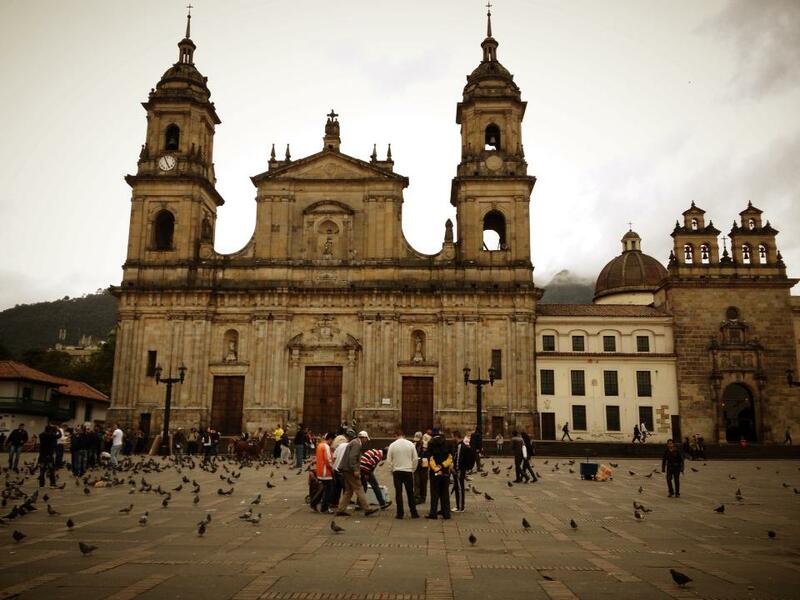 Although, Bogotá wins for having much more beautiful, classic Latin American architecture. 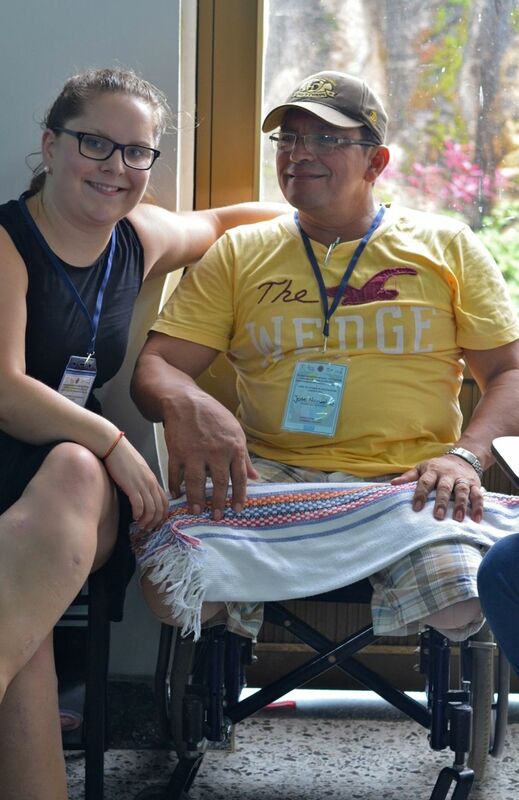 After the weekend, Marie-Josée introduced Rhian to the national office of our host organization, the Colombian Campaign to Ban Landmines (CCCM). The office was very busy during this week, leading up to many project completions, proposal deadlines, and the national conference of the Campaign which we would be attending the following week. We had a day off on Wednesday, so we took advantage and made a day trip to a beautiful little town near Bogotá called Zipaquirá. The town is most known for its expansive underground salt cathedral built within the tunnels of a functioning salt mine. 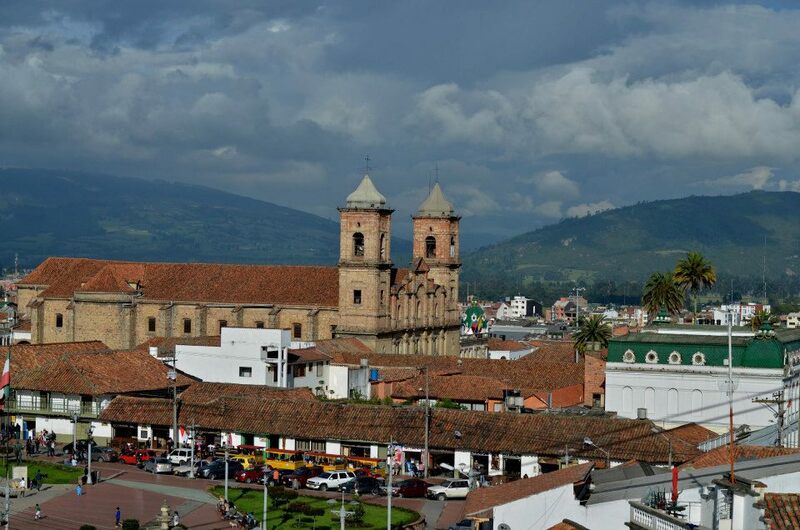 The town has gorgeous colonial style architecture and beautiful views of lush vegetation in the surrounding hills. Needless to say, it was a great little trip. Then, as our departure to Arauca neared, we were both very excited to discover this rural area of the country and attend with and support our bosses, Camilo and Olga, in the delivery of a Mine Risk Education (MRE) training workshop. 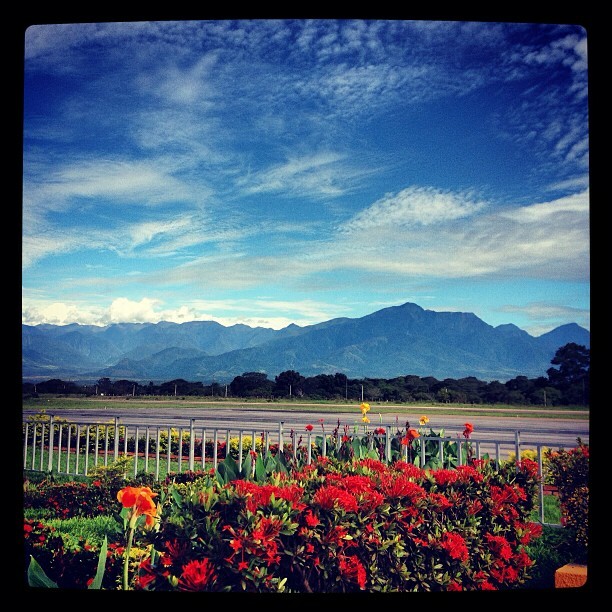 We started the trip to Arauca with a lovely (read: ungodly) 3:30am wakeup call for our 30 minute 6am flight. Needless to say, we had arrived in Arauca before the majority of us would normally have even been awake. But, that sleepy, dazed and confused feeling wore off instantly when we descended from the plane and got our first breath of the delicious tropical warm air. Everyone on the plane seemed to simultaneously strip off their Bogota-appropriate layers and gladly welcomed the heat and sunshine on their skin. We were struck by the gorgeous scenery as we landed and then drove through the countryside. It is remarkable how different the geography of each department is in Colombia. Medellín is in a long valley with lush mountains on either side. Bogotá is at a high elevation with a lot less vegetation and is mostly flat and expansive. 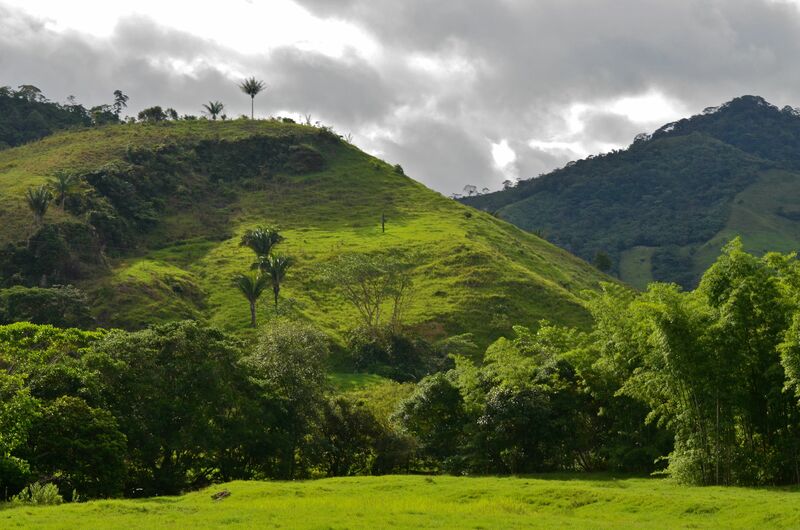 Arauca is all flat plains with the odd table-like hill and is incredibly lush with lots of rivers running through the area. When we were waiting at the airport for our driver, Adriana, Camilo and Olga warned us that because of the security risk in the area, we would not be stopping at all on the three hour car ride from the capital of the department to the town where we would be doing the workshop, Tame. So, after a quick stop at a Frutería (essentially a fruit and dessert restaurant), we set out. The drive was full of interesting moments, including heavily-armed military checkpoints every 2 km, a dead alligator in the middle of the road, and Adriana’s race car driving skills to avoid sections of missing highway and crater sized potholes; but – we made it in one piece! Arauca is one of the most highly mine-affected departments of the country. Because it is right on the Venezuelan border, and therefore an oil rich region, there is a lot of guerrilla activity and unrest. 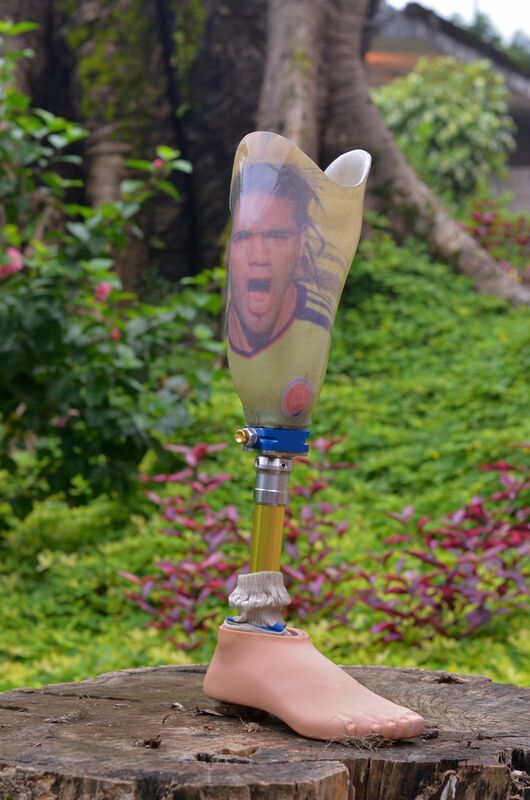 In Colombia, such a reality is almost always accompanied by a high level of landmine contamination. Because of the obvious risk to the civilian population, CCCM goes to such departments to educate volunteers from communities in the area about how to minimize the risk of encounters with landmines and how to then disseminate this information in each of their communities. For this particular workshop, there would be roughly 20 participants from 5 different municipalities in the area. When we arrived, we spent our first day in Tame relaxing at the very cute hotel CCCM had booked for us and went out on the town to honour our mutual obsession for fresh and tasty baked goods. M-J impressed both our bosses and the bakery’s owner by eating a ham and cheese croissant the size of her head! (See photographic proof below). Adriana, our local guide, also took us to a traditional music and dance academy for children affected by the conflict where we had the chance to hear an almost private concert. Traditional music from the Llanos, which is how the Arauca region is known by the residents, is a mix of harp and a cuatro, a small string instrument that looks and sounds between an acoustic guitar and a banjo. We also had a local dance demonstration of the charming (and very complex for our inexperienced eyes) joropo. The next two days were both intense and extremely interesting, as the actual Mine Risk Education workshop took place. After settling into our rooms at the site of the workshop (CCCM had chosen a nice finca on the outskirts of Tame with dorms, in and outdoor ‘classrooms’, and a common dining room) we welcomed the 21 volunteers who would be trained. Most of them were between 16 and 20 years old, except for 3 or 4 older men and women, which made the whole workshop very dynamic. The first day, the volunteers were introduced to legal tools related to the land​​mine issue, such as the Ottawa Convention. They also became familiar with the various components of Mine Action. The following days were devoted to the presentation of the educational path for implementing Mine Risk Education workshops. Volunteers were grouped by their respective communities and each made ​​a presentation using MRE materials from UNICEF as a drill to prepare for their work in their communities. The last day, after a comprehensive review of the topics learned, volunteers each received their own set of the educational materials provided by UNICEF in a small ceremony in which each participant committed to representing CCCM and delivering Mine Risk Education workshops for their families, friends, and community members. Overall, the workshop was a great success, and neither of us wanted to leave the scenery or heat of Arauca. 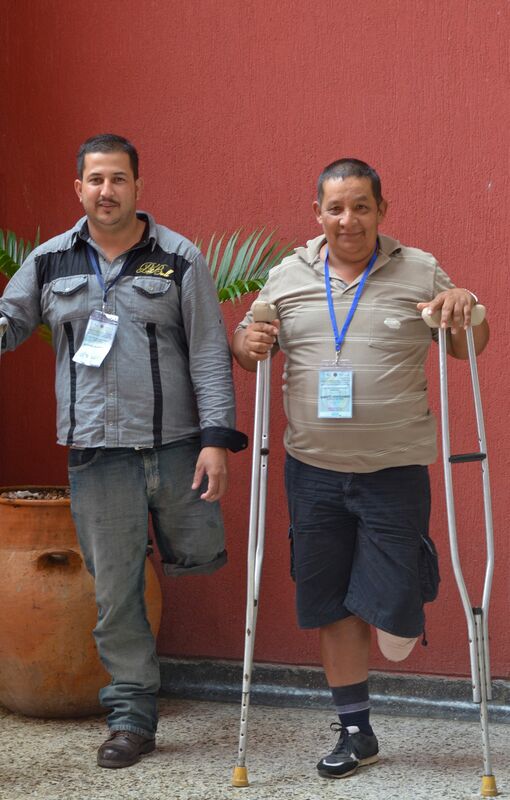 We then returned to Bogotá to prepare and attend CCCM’s national meeting. Gradually, all the regional coordinators of CCCM from various mine-affected departments in Colombia started to arrive to Bogotá. We were all gathering to discuss the strategic plan of the organization for 2013 – 2015, close and evaluate certain projects that have ended, etc. It was a great opportunity to meet the coordinators from other departments, who all extended invitations to us to come and work with them in their departments. The work week came to a close and M-J headed off to Cartagena with a Canadian friend who was visiting, and Rhian went back to Medellín to resume life there. We are now both very much looking forward to other opportunities to travel to rural mine-affected communities, as our experience in Arauca was very valuable, interesting and enjoyable!